Acid Mothers Temple in Montreal or Quebec City? Inform me about the next events for Acid Mothers Temple. Enroll yourself to our priority waiting list for Acid Mothers Temple to be alerted when new tickets are available. Filling this form doesn't engage you to any purchase. 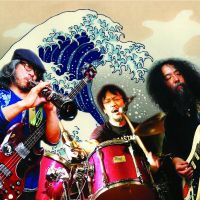 Purchase your tickets for Acid Mothers Temple at 514-Tickets. 514-Tickets is a ticket broker for concerts, shows, and sporting events specializing in re-sale. Our company allows you to attend a multitude of concerts in the Montreal area with tickets of high quality and a service with a 100% Satisfaction guarantee. You may purchase your tickets easily and securely for the venue of your choice such as the Bell Centre as well as Theatre St-Denis and Etoile Banque Nationale and others. Contact us now either by telephone 514-Billets (245-5387) or directly online at 514-Tickets.com.